I love baby showers. I love watching soon to be moms discover their babies for the first time through other people’s support. Their eyes light up when they grasp the tiniest pair of shoes. Sometimes I think to myself “they have no freaking idea what is about to go down and it’s going to be awesome.” Because there is no way to prepare anyone for becoming a parent, but the baby shower is small sign of support to let the mom and dad know, they got this, they are not alone and it’s going to be the best thing ever. Plus look how small those socks are? There is no need to break the bank and hit up Toys R Us when it comes to helping out moms-to-be, but rather sign into Facebook and check out all the rad and extremely useful jazz you can get locally. Such an original and useful idea. A lot of babies get a lot of stuff that never works properly for them or their families. I got soothers, Winnie sucked her thumb. I got so many dresses, Winnie hated them and they never allowed her to sit safely in her carseat. I got a lot of body washes, she was allergic. But Cheeky Monster has created a product that is needed by all babies! Extendable pants. Rather than a three month long pant stint, Cheeky Monster pants can go from 6 to 12 months in one pair. All the clothing comes in cool designs, which you can choose from and the seamstress and founder, Mindy Russell, is easily accessible and super accommodating. The product is made for babies and children. “I started making maxaloones. They are pants designed by Max and Meena. 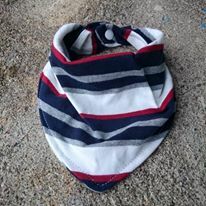 They are specifically designed for baby wearing and cloth diapering. The extra length in the leg is able to fold down to cover the baby’s ankles when in a carrier. And the extra room in the bum is perfect for fluffy cloth bums. 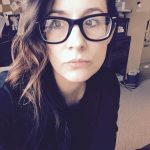 I found the pattern when kiddo was a baby and my business plan started coming together. Since I have added tops, hoodies, and planning on dresses soon, “explained the founder. 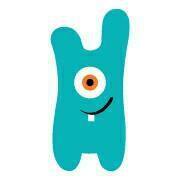 Russell is a teacher by trade but she started Cheeky Monster in order to stay home with her children. The company is located in Baie Verte but Russell can ship your order for a low fee. This is super convenient if you are sending the gift off to a friend or family member away. I have never spoken to an unsatisfied customer. Cheeky Monster products are unique, desirable and super stylish for any little one. Plus they are from here in Newfoundland. “It is so important to shop local. To support people in your community and your province so they can stay home with their families. Shopping local puts money into our local economy. It helps to keep our small communities going. 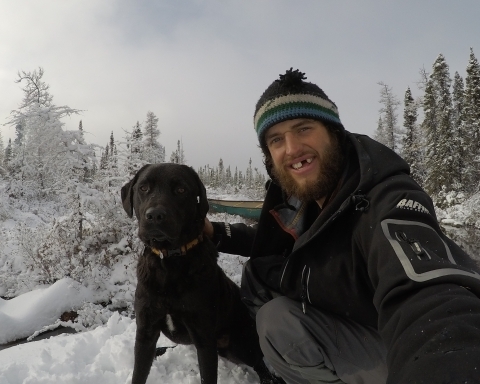 I am so lucky to be able to live in Baie Verte and have a thriving business,” said Russell. Carrie Dawe is an artist, art teacher and mommy who started Baby O as something to do in her spare time while her son was napping or playing. Dawe has experienced a lot of positive feedback. 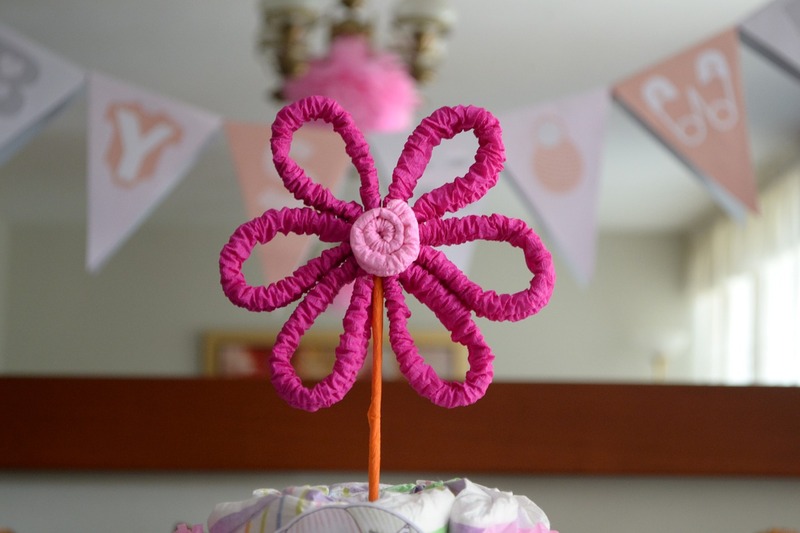 To order from Baby O simply set up an appointment for pickup or you can visit Dawe’s home in Bishop’s Falls. If you live far away, she can make a shipment to your house. 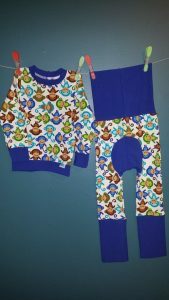 You know you won’t get the same gift as someone else, and your baby will be rocking some unique patterns with Baby O plus you’re helping out a local business. 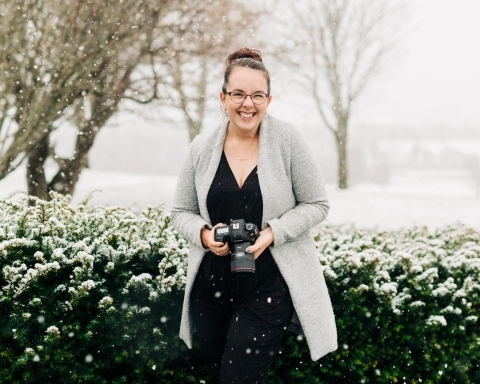 “Local shopping is important to not only support the economy of Newfoundland, but there are so many unique products made by people here that are lovingly handcrafted. 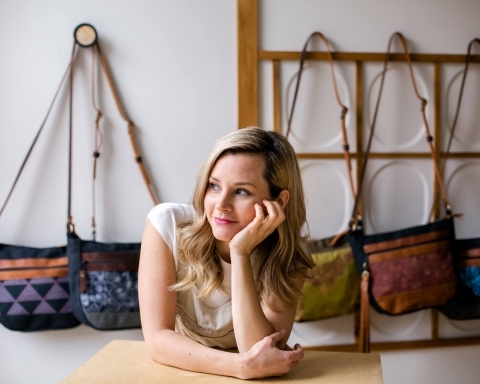 There is something special about owning handmade things I think, where the market is not oversaturated with the exact same item like shopping in a chain store,” said Dawe. 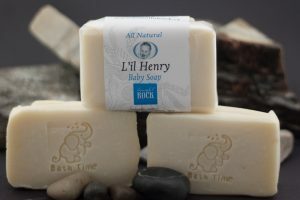 Brought to you by Beautiful Rock products comes a line of baby diaper creams and soaps that was named after the founders’ son. Not only are the products made of natural ingredients, they use local ingredients as well. The founders saw the potential for all natural skincare products right here on the island and took advantage of the available resources. Once Henry came along, they wanted a local and chemical-free product for their own child, so why not use the ingredients around them. In fact, why not use the seabuckthorn in their own backyard? The company has its own orchard nestled within Woodale on the West Coast. Lil Henry is soft and gentle and has the perfect baby smell. It’s safe and you know where it’s made. Products are available at local stores across the province or from the website. 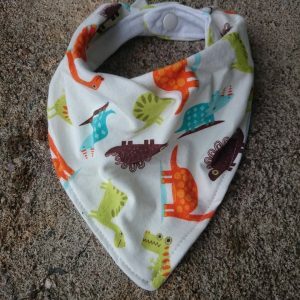 Keep your baby or your friend’s baby or coworkers baby, or whoever’s baby rocking in style by shopping local and help preserve the Newfoundland community by supporting small businesses.